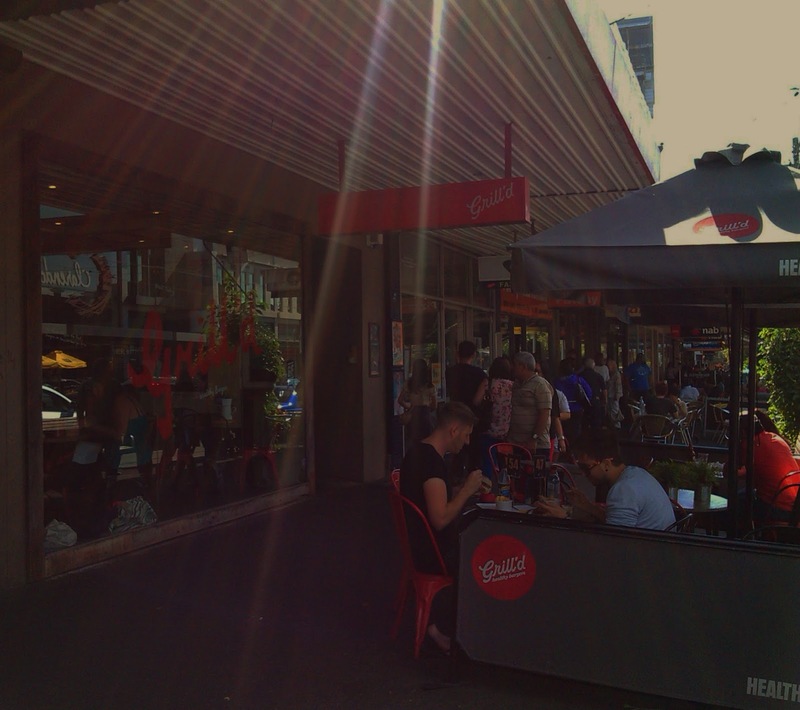 We popped into the Grill'd on Clarendon street in South Melbourne on a sunny Sunday lunchtime. There were people eating inside and at the tables on the street. It was the first time I tried any of the chain's stores, partly because the better half had won a two for one voucher. 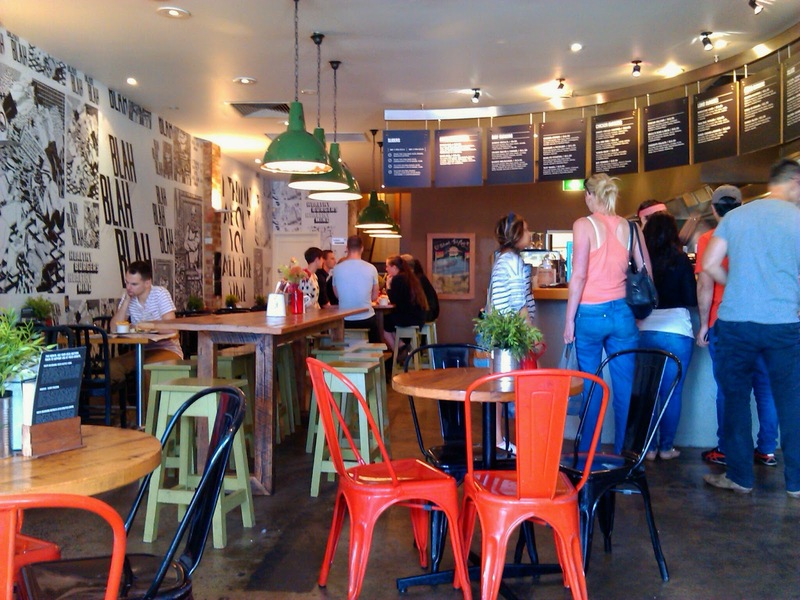 The fit out inside was bright and modern, with a bit of an industrial feel, and plenty of menu options up behind the counter. We both ended up deciding on veggie options. The Field of Dreams burger enclosed a grilled field mushroom, basil pesto, roasted peppers, tasty cheese, salad and herbed mayo. It seemed to eat well, although the mushroom provided quite a bit juice that leaked out! 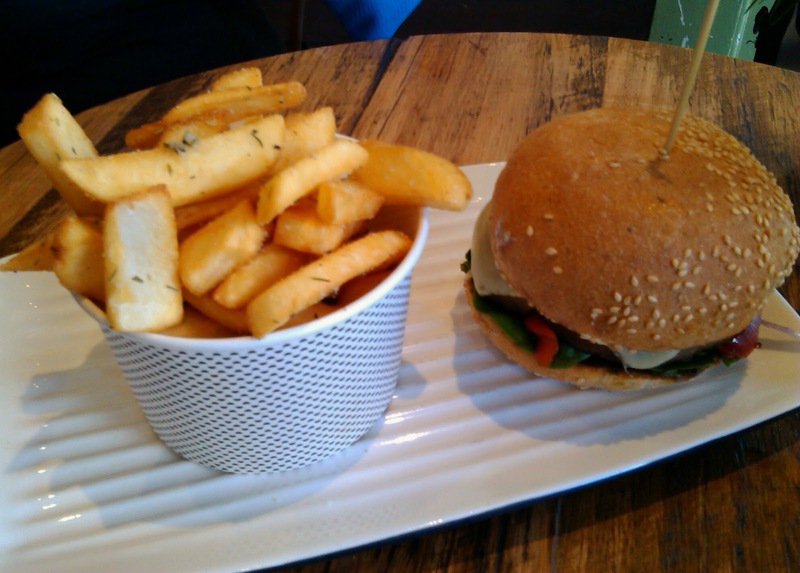 The thick-cut chips were crisp on the outside and soft inside and sprinkled with a tasty salt and thyme mix. 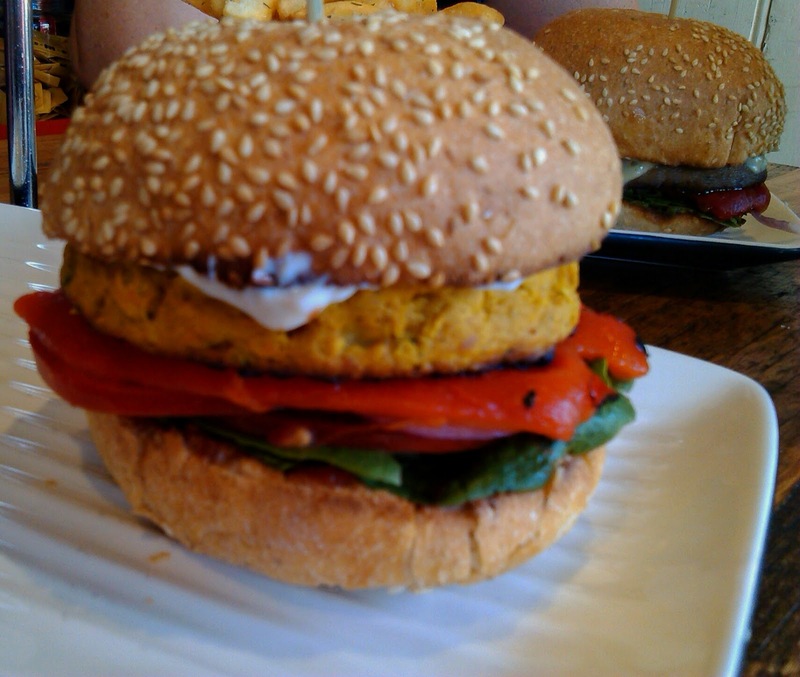 I had the Bombay bliss burger, filled with a chickpea pattie, roasted peppers, tzatziki, salad and relish. The burger was a little crunchy on the outside unusually for a pulse based burger, but held together pretty well and was complemented by the other components.